This tool is ideal for indies developers or people who only want to create games for hobby. It's really easy and simple to create games, specially for mobile, where you don't need to worry about writing multiple codes for the multiple platforms existing. The codification you have available in the app is kinda weird, because there are some limitations in the programming language itself, which may be odd for some experienced developers. Even if this app uses C++, you can't code as normally, because some things are changed, like the fact that the objects are not taken as you know them. The main benefit is that it's cheaper than some other game engines in the market, however, I'm using it just for fun and for developing my own non-commercial games. "Easy to use software for simple games"
The app is very easy to use, although you can only create simple games, like the ones for browser classified as "for kids". There are better game engines out there. Even if you just want a game as simple as the ones created by Flash, you can have a better option with Unity or UnrealEngine. This app doesn't want (or doesn't seem to want) to compete with competitors such as Unity or Unreal Engine, however, its technology is very archaic now. I think the price is not right for the features this app offers. There are cheaper options in the market. What VR Game Engine solution do you use? CryEngine is an all-in-one game development solution with scalable computation and benchmark graphics technologies for console, PC, and mobile devices. * We monitor all AppGameKit reviews to prevent fraudulent reviews and keep review quality high. We do not post reviews by company employees or direct competitors. Validated reviews require the user to submit a screenshot of the product containing their user ID, in order to verify a user is an actual user of the product. Hi there! 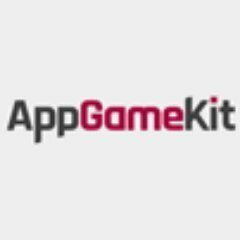 Are you looking to implement a solution like AppGameKit?